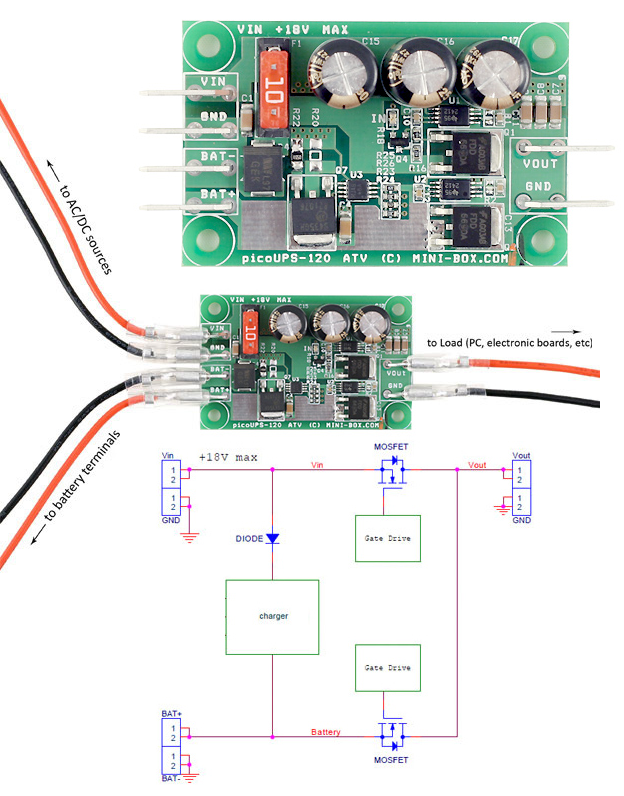 PicoUPS-120-ATX DC micro UPS system / battery backup system for 12V automotive environments. The picoPSU-120-ATV ensures uninterrupted power for your electronics by automatically switching in between a DC input source (13-18V) and a Lead Acid (SLA battery). The switching in between the power sources is instantaneous, thus allowing smooth, uninterrupted device operation. The picoUPS-120-ATV also has a built-in, 1.2A fast battery charger unit. The PICOUPS-120-ATX has been specifically designed for uninterruptible small/medium power PC operation, where “always on” operating is required. Applications for the picoUPS include a wide range of systems including automotive operation.